Unfortunately, the weather predictions were true. 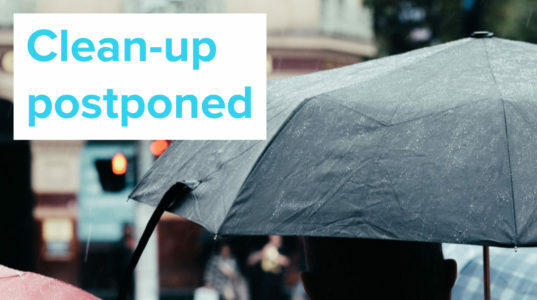 Our clean-up will be postponed and rescheduled for next Saturday, May the 5th, from 10:30 until 12. Previous Previous post: Reminder: 3 days until our community clean-up!